I don't tend to change up my cleanser around too much because my skin is ridiculously reactive and I found a cleanser that my skin gets along with. My skin absolutely loves the REN gentle cleansing milk because it's just amazing. I am always recommending it, check out why it's the best cleanser here. 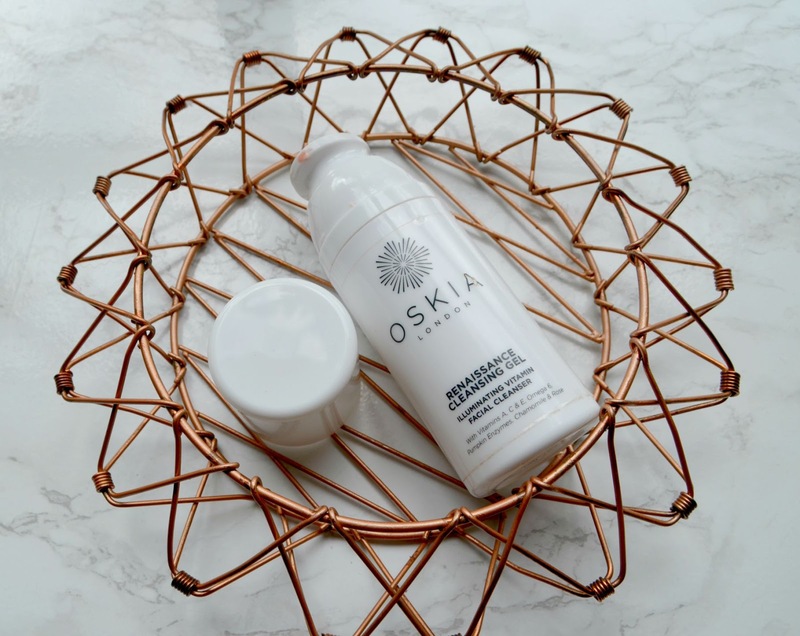 So recently the Oskia Renaissance Cleansing Gel has been getting a lot hype among beauty bloggers and I have serious problem when it comes to hyped up products, I just have to try them. Why fight the inevitable, I made the order on Cult Beauty when they had a discount code for basically spending money on their site and I though this was the perfect opportunity. It came pretty quickly and I have been using it for about a month or maybe a little longer now. At first I didn't like it all, after the first couple of uses I completely stopped using it because it made my skin feel quite dry and it would leave my skin feeling super squeaky clean not a fan of that. I ran out of my beloved cleanser and this one was laying about, being the lazy individual I am I just used it and for some odd reason I really liked the way it left my skin (this was after a week or so). Ever since then this cleanser has become my evening cleansing and I just love using. I pump a little into my hands, it comes out in a gel consistency which turns into an oil when you massage it onto your face (it feels so luxurious on the skin), then I just rinse it off with a wash cloth. It leaves my skin feeling super silky and clean after every use and I think a little more brighter (definitely a lot brighter, everyone has been complimenting me). Which I think is down to the Pumpkin Enzyme which mildly exfoliates the skin. It also contains Vitamin E and C which help to restore the skin and Starflower Oil which soothe the skin. It feels good, cleans your face and all the science is there, what more could you want in a cleanser ? I do wish though that the bottle was clear, just so you can know how much you have left. 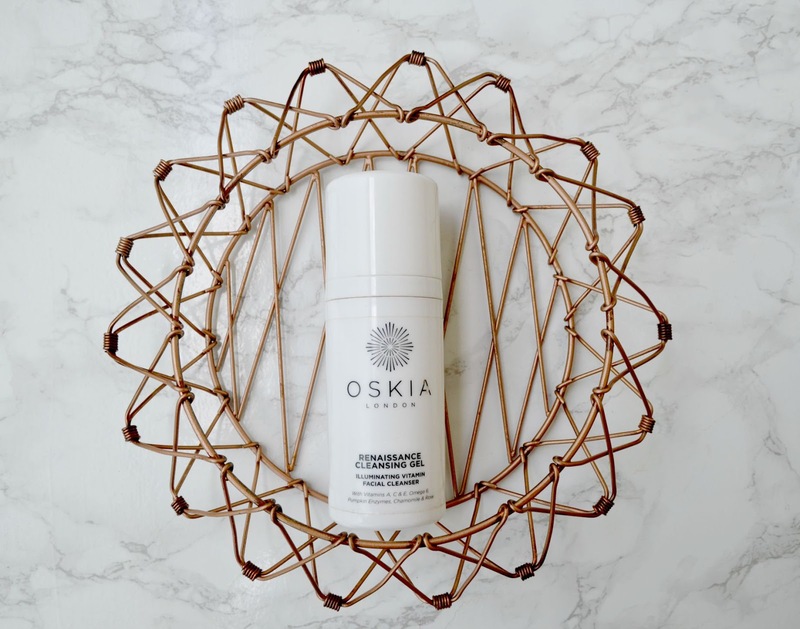 The Oskia cleanser is not the cheapest of cleansers (remember you only get one face) but if it's in your budget then totally go for it plus the bottle is quite big and you only need a small amount. It will definitely last you a while. I really want to try more from Oskia, (not so good for my purse) let me know any other products I should try out.